Searching for a new job can be a stressful ordeal. There is always a feeling that you could be doing more to make yourself attractive to employers: more networking, more updates to your LinkedIn profile, more classes to boost your skills. This desire to do more, however, sometimes comes with an urge to spend money on products and services that you may not need. There are many people who offer advice on how to craft your resume to help you land a job. This can be a useful service, but keep in mind that there's also plenty of free advice out there. Before spending a significant amount of money on a resume consultant, do a search of some well-regarded business and career publications to see if they've written extensively on this topic. There are also countless examples online of well-crafted, effective resumes that are easy to replicate. When you are networking, you may feel it necessary to treat a contact to an expensive meal in order to make a good impression. But this is rarely necessary. People are busy, and generally have no desire to set aside an entire lunch hour or evening just to hear you pitch yourself. If someone is willing to help you in your job search, they will be fine meeting over a cup of coffee or even just an in-person chat in their office. 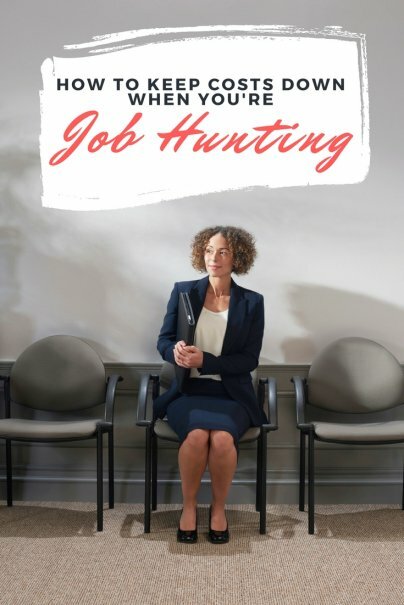 Remember that your work history and accomplishments are what matter most in your job search, not your ability to pick up the check for a steak dinner. If you feel the need to make a grand gesture to thank someone for their help, do it after you've landed the job. If you are interviewing to be the CEO, it makes sense to spend some bucks to look right for the job. Most job applicants, however, don't need to spend $3,000 for a custom Italian suit. Sure, you'll want to have appropriate dress clothes and shoes that make you look like a professional. But there's no need to go overboard. Also keep in mind that many employers allow for casual dress. In those situations, you may be able to save money by skipping the suit altogether and wearing tailored, well-fitting clothing. If you don't already have these in your closet, you can buy them for less than $100. Many job boards and career networking sites offer paid services that promise enhanced job listings and the ability to be labeled as a "featured" applicant. These services can come with some bells and whistles that might help you in your job search, but they are not cheap. LinkedIn Premium, for example, starts at $25 per month. These services can't guarantee you'll get a job, and aren't a replacement for having good qualifications and networking. You may be tempted to go out and get a new computer or smartphone to help you with your job search. Perhaps you think a costly piece of software will enhance your chances of landing a position. In reality, it's rarely necessary to upgrade your technology just to search for jobs. Sure, a reliable computer will help, along with a phone so companies can reach you. But there are many technological solutions that don't cost a dime, including free online software that can help you easily set up a professional website. Besides, the most important component to getting a new job is the most low-tech one there is: you. Your skills, qualifications, and experience are what matter most. I'm a firm believer that interviewing for a job can be beneficial, even if it's for a job you aren't crazy about. But if you have to incur significant expense to show up, it's probably not worth it. There's no need to hop on a plane and book a hotel for a job that does not interest you, unless you have a strong indication that it could lead to a more attractive opportunity. Even train fare and parking may be a waste of money if you really don't have an interest in the job. It is true that you should never stop learning, and it's never a bad idea to enhance and expand your skill set to give your career a boost. But you need to be thoughtful in what you pursue.